The new PicoSure Laser has recently been added to O’Neill Plastic Surgery’s extensive list of cosmetic procedures! 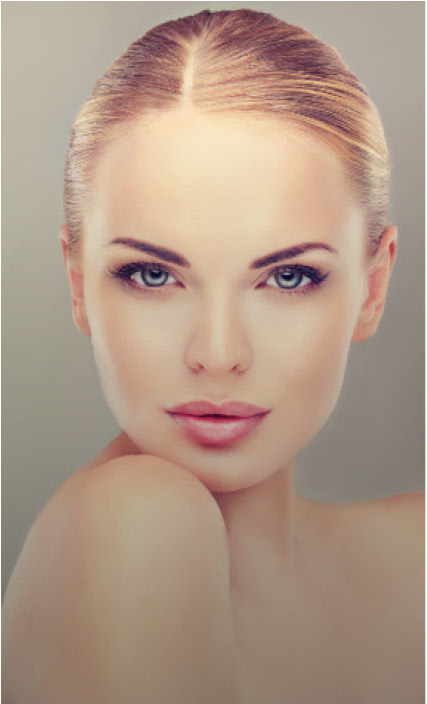 The PicoSure Laser is a high tech laser from the industry-leading Cynosure medical laser treatments manufacturer. The PicoSure laser uses tried and tested laser technology to clear acne scars, remove tattoos, revitalize skin, reduce wrinkles, and more. 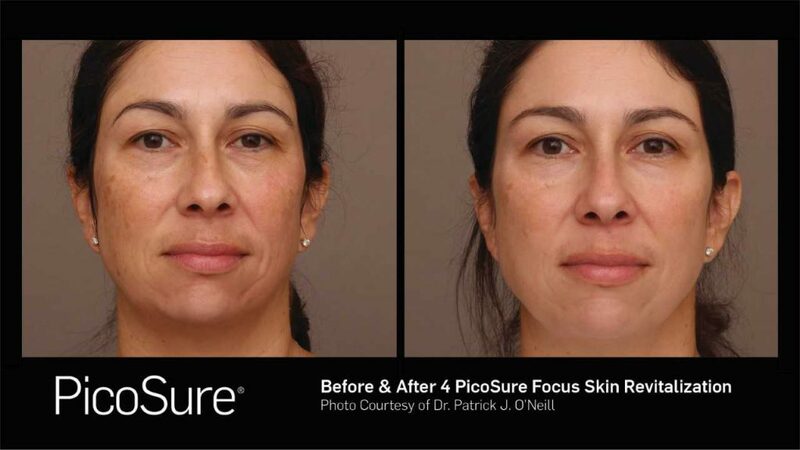 PicoSure gently delivers short bursts of photomechanical light energy to target your problem areas without causing harm to the surrounding skin. 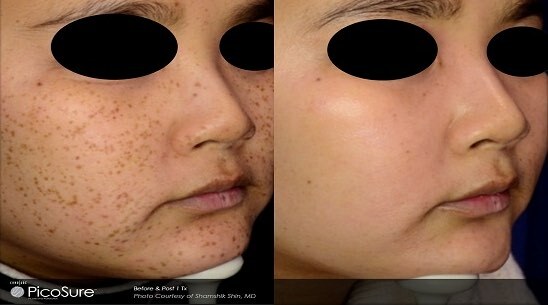 Photomechanical light causes less cellular damage than traditional skin revitalization laser techniques. The PicoSure laser can be a dream come true for people who have suffered from acne and now experience scarring! This laser can remove those pesky acne scars for good and leave you feeling ten times more confident. PicoSure breaks up the cells within the skin under the scars and promotes smooth, supple skin with healing. 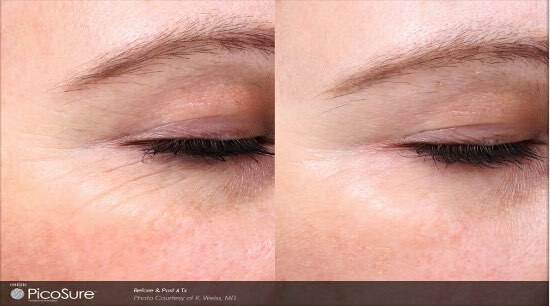 For anti-aging laser skin revitalization, the PicoSure Laser tackles wrinkles just as it does acne scars. Small bursts of laser energy are used to break apart wrinkled cells and promote new collagen growth, resulting in smooth, youthful skin. If you have melasma, you know that a permanent solution is often very hard to find. The PicoSure laser’s technology offers a targeted, fast melasma treatment, very similar to the treatment used to remove brown spots. The laser targets the melasma gray-brown patches of skin on the face, arms, and body with its high powered skin resurfacing system. Freckles and age spots can also be a source of insecurity for many people. The PicoSure removes brown spots quickly without the pain and recovery time of traditional procedures. 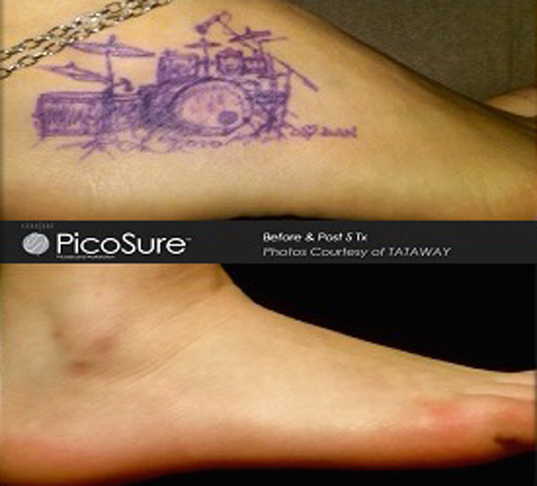 The PicoSure laser sends ultra-short pulses of photomechanical heat energy that shatters tattoo ink within the skin. Once the laser breaks apart the ink particles within the skin, the particles can be absorbed naturally in the body, resulting in overall clearance of the tattoo. The new PicoSure laser tattoo removal system makes it easy and quick for you to erase those regretted, unsightly tattoos for good. Dr. O’Neill estimates that it will take 3 to 4 treatments to clear an average hand-sized tattoo.